This is a great pattern to use for upcycles, you can even use some of dad’s old shirts. 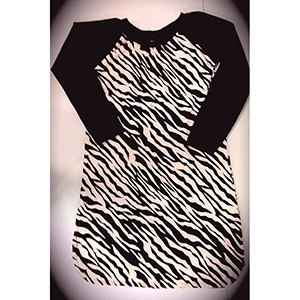 This raglan sleepwear is inspired by some of the sports t-shirts, of my husbands, that the boys love to wear to bed. It has two length options a longer, more traditional, girls length gown and a shorter, gender neutral long shirt. The hem facing is an easy finish, with all the detailed pictures, and gives a clean finished look with a peek-a-boo hem. With 2 different body length options & 2 sleeve lengths you can make a variety of sleep tops with just one pattern. 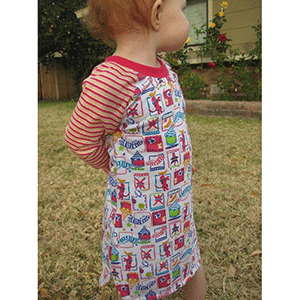 This pattern is available in sizes newborn to tween 18. 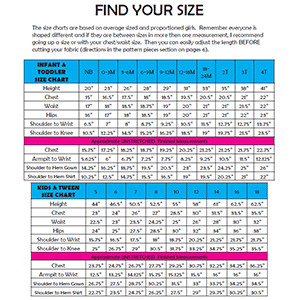 Suggested fabrics are knit fabrics such as cotton lycra or cotton ribbed.